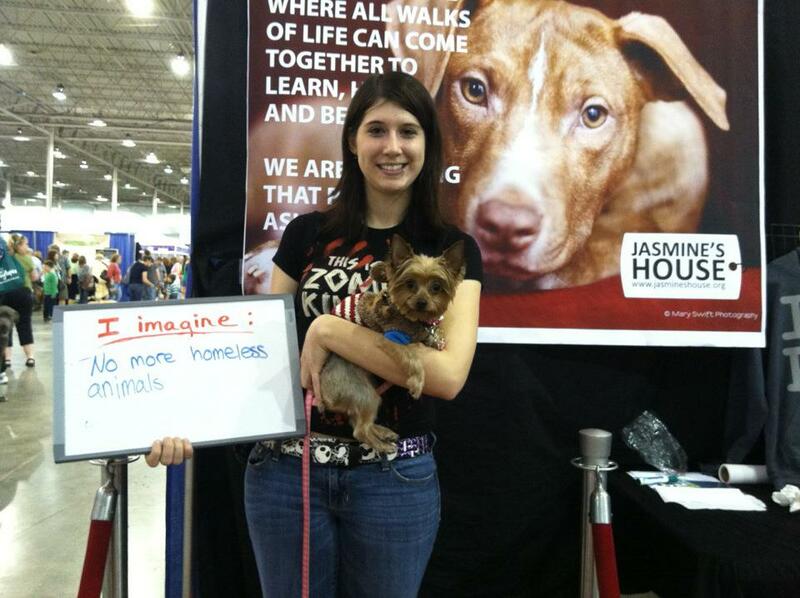 Being the Change: Jasmine’s House Inc. Rescue groups are similar to the dogs we help: there are so many of them, all amazing in their own way – but there is always one that stands out to you; one that you connect with. For me, Jasmine’s House was this group. 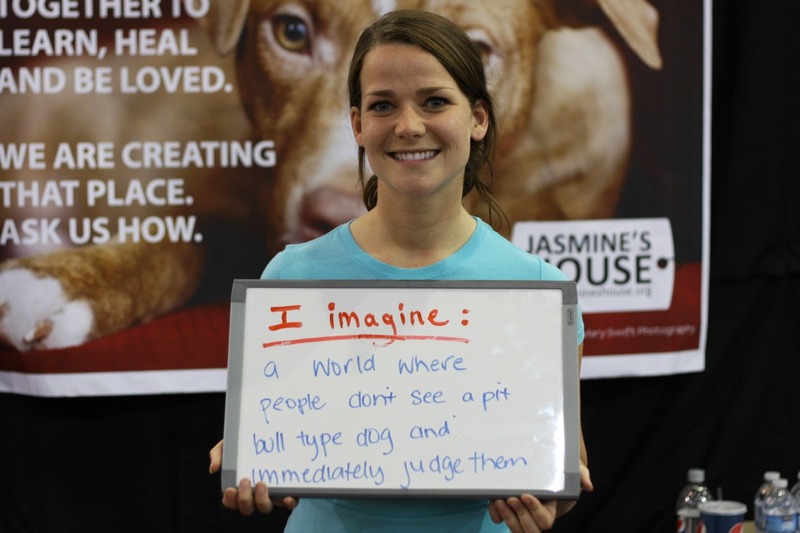 Their mission is so deeply rooted in a passion for saving pit bull type dogs that with every single dog they take in, they help make the world a better place. They have so much knowledge and understanding of what dogs need to heal, and time after time they give dogs a chance who may not have had one otherwise. But their impact goes deeper than that still. Because honestly, what change do we imagine for this world? Everyone has a different answer to this, and of course none of them are more correct than the others. It’s just a question people should ask themselves once in a while to at the very least reignite passion for a cause. After all, “Nothing great in the world has ever happened without passion” (-Georg Wilhelm Friedrich Hegel). What type of world do you imagine? 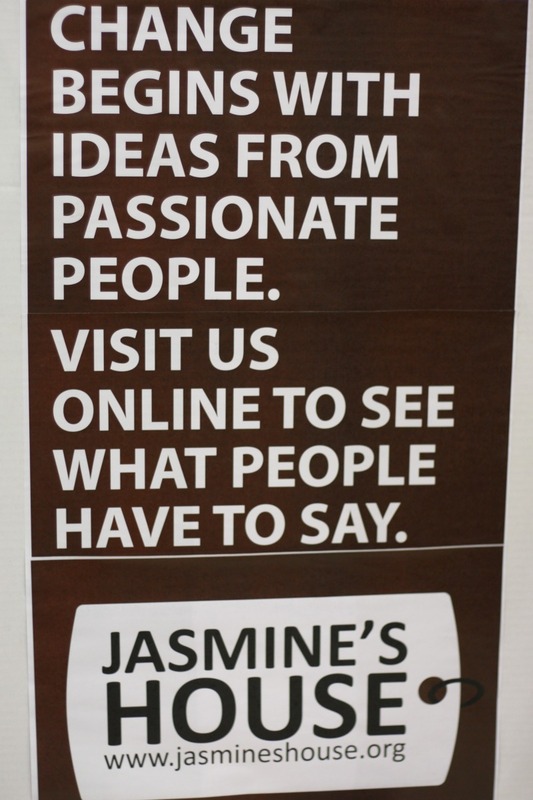 Read more about Jasmine’s House and the work they do on their website, and see more brilliant “I Imagine” pictures on their Facebook page. 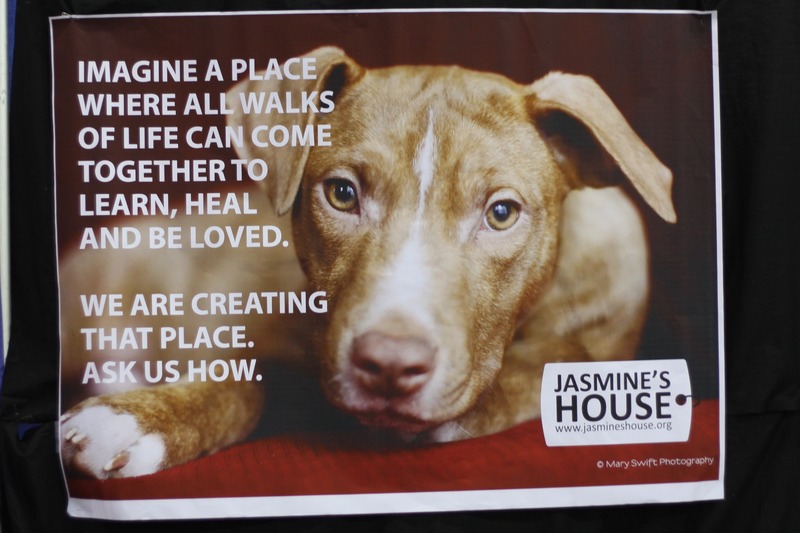 This entry was posted in Cat talk, Dog talk, Rescue/Humane Society, Uncategorized and tagged action, change, inspiration, jasmine's house, motivation, passion, rescue. Bookmark the permalink. I think the tide is turning….I imagine a day when NO man, woman, child or animal is discriminated against just because of how he or she looks. 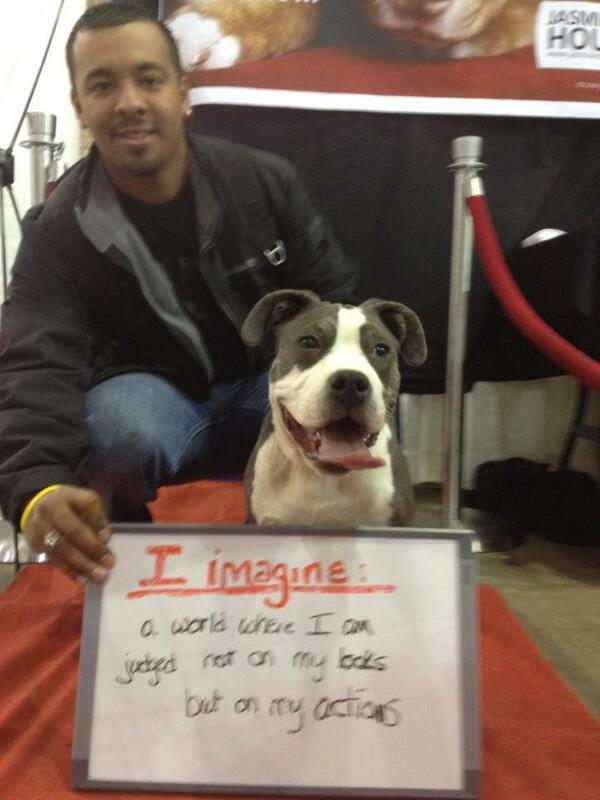 I imagine a world where people are able to empathize with each other and with animals. Llamaentity imagines a world where the robots have taken over. Mushroom imagines a world made of bacon. Badger imagines a world where Mushroom is a moving squeaky toy that always wants to play with him. What a wonderful message. 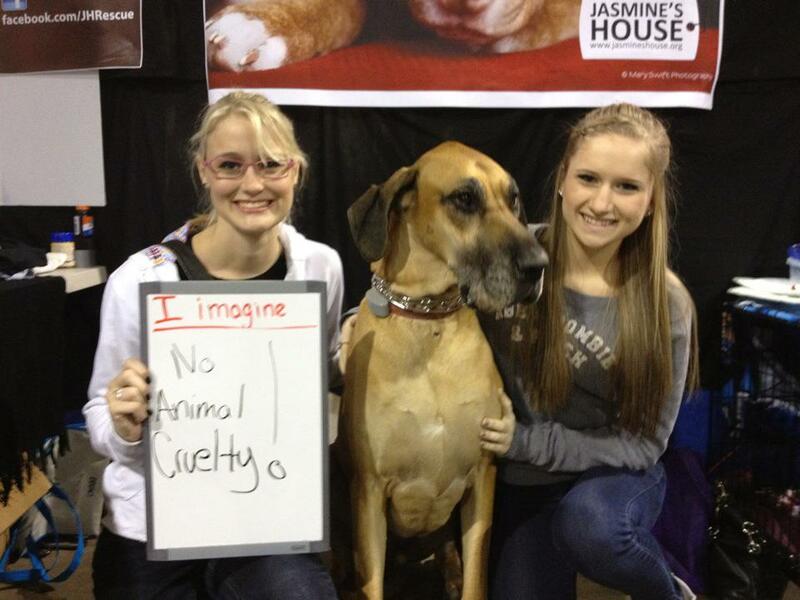 Thank you so much for sharing your insight on the world of animal rescue. It’s not an easy one to live in but I am so grateful there are people out there like yourself and the other’s at Jasmine’s House who really are making a difference. I imagine a world in which no human or animal ever goes hungry.